Panos photographer Julio Etchart left his native Uruguay after his release from detention by the military authorities who suspended Congress in 1973 and remained in control until 1985. After studying photography in the UK and working with, amongst others, Amnesty International Julio was sent to Chile on a number of occasions to document the situation under the regime of Augusto Pinochet who had deposed the Socialist president Salvador Allende in a military coup on 11 September 1973. 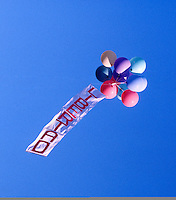 Working as a journalist in Chile had its inherent dangers since the regime tried to suppress all forms of dissent and attempted to keep the international press at bay as much as possible. 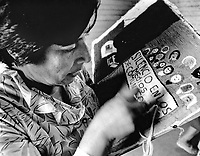 While in the UK, Julio had made contact with many Chilean exiles living in Britain who gave him invaluable contacts inside the country who helped him to carry out his work there.International Women's Day in March 1985 proved a small turning point in the struggle against the Pinochet regime when brave women defied a curfew and went out to protest against the regime, calling for political detainees to be released. 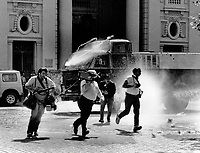 Though they were beaten back by rubber bullets, tear gas and water cannon, Julio's images that appeared in the international press following these incidents brought the country back onto the news agenda.Amnesty International commissioned Julio to produce an exhibition of images in 1988 to draw attention to the situation in Chile and now, on the 40th anniversary of the coup which saw Pinochet come to power and remain in control for almost 17 years, Amnesty will be hosting another exhibition of Julio's images at the Human Rights Action Centre in Central London from 11 September 2013.